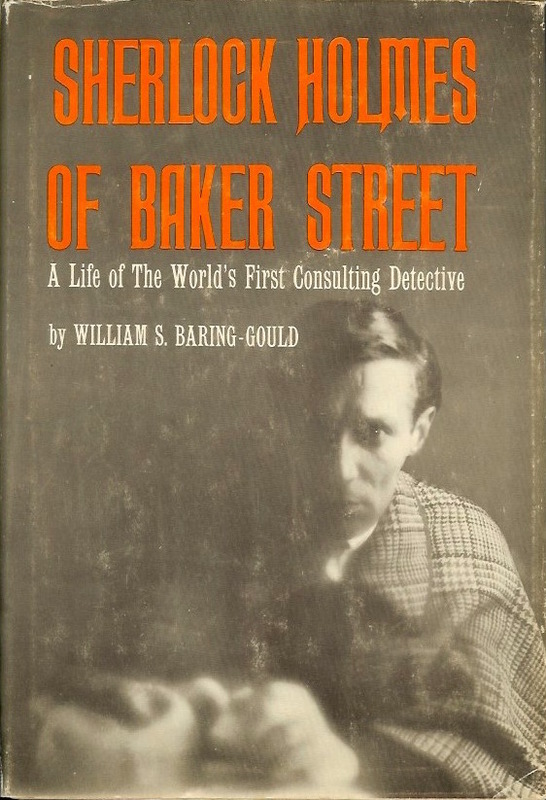 A fictional "biography" of the great detective by noted Sherlockian, William S. Baring-Gould. In the UK the book was titled just Sherlock Holmes. Pictured here is the first U.S. hardcover edition. Although millions know of Sherlock Holmes through the chronicles of Dr. Watson, it is only now that, owing to his recent death, the full biography and facts of his life can be brought before the public. This volume brings together for the first time every known fact that can be fully authenticated about the life of one of the world's most extraordinary men, and reveals much more about him that has not been heretofore generally known. From twenty years' research into every possible source, the author has written as definitive and account as could ever be assembled. SHERLOCK HOLMES OF BAKER STREET reveals far more than Watson ever could, including the whole story of his running battle with the infamous Professor Moriarty, his dangerous brush with Jack the Ripper, his long association and love for Irene Adler, the question of his own son, the story of his retirement, the writing of his great book, and the circumstances of his death.